During this workshop, participants will identify and determine essential contents and avoid common mistakes when drafting an employee handbook. An employee handbook is a compilation of the policies, procedures, working conditions, and behavioral expectations that guide employee actions in a company. Employee handbooks generally also include information about the company, employee compensation and benefits, and additional terms and conditions of employment. Another integral content in any handbook is the code of conduct for employees that sets guidelines around appropriate behavior for the workplace. The purpose of an employee handbook is to provide employees with a working guide to the understanding of the day-to-day administration of human resource policies and practices in a company. It is designed to provide employees with a general summary description of the company’s HR policies, employee benefits, and code of conduct. The handbook can help ensure that all HR policies and practices conform to legal requirements. Employers can use the policies in the employee handbook to protect themselves against possible lawsuits pertaining to harassment, wrongful termination, discrimination claims etc. 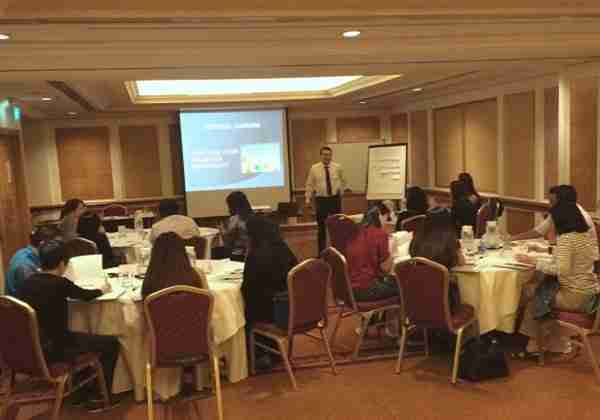 Participants attending this workshop will be provided with a comprehensive template for an Employee Handbook! • Explain the purpose and value of having an employee handbook. • Identify the essential contents that are required in an employee handbook. • Determine the handbook contents that are relevant to their corporation. • Ensure compliance with the relevant legislation that govern HR policies and practices. • Deliver the material that will cater to their individual audience, the employees. • Avoid common mistakes when drafting an employee handbook. • Purpose and Value of an Employee Handbook. • Selection of Essential Content. • Complying with Legal Requirements and Implications. • Additional Relevant Tips and Potential Pitfalls. • HR Managers, HR Executives, Employee Relations Managers. • Business Owners particularly those from SMEs. • Anyone who is keen to develop an employee handbook for their organizations. Noel Khng has more than 20 years’ experience in the Human Resources field working for the Shell Group of Companies. He has taken on roles as a generalist as well as specialist roles in Recruitment, Staff Administration, Industrial Relations, HR Information Systems and Learning and Development. He also worked as the Group HR Manager for Mewah International Inc., one of the largest palm oil refiners and traders in the world, headquartered in Singapore with 3 refineries in Malaysia and marketing offices in China, Australia, Russia, Rumania, Poland, Brazil and Argentina. 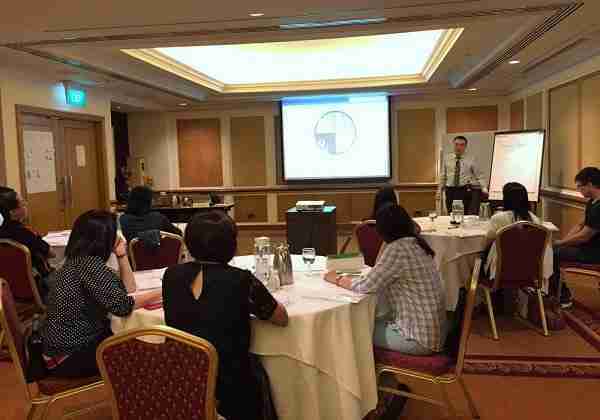 Leading a team of 28 HR professionals, he was charged with setting the overall direction for HR policies and practices across the Mewah Group. 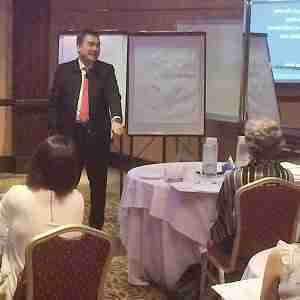 Noel holds a Master’s of Science (UK) majoring in HRM and a Diploma in Industrial Relations. He also successfully completed the Advanced Certificate in Training and Assessment (ACTA). 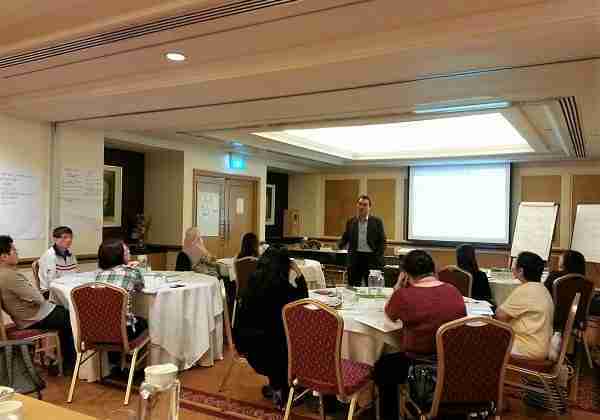 Noel is currently one of the trainers for HRSINGAPORE's HR Certification Courses. • Skills Connect WDA Reference CRS-N-0003711. 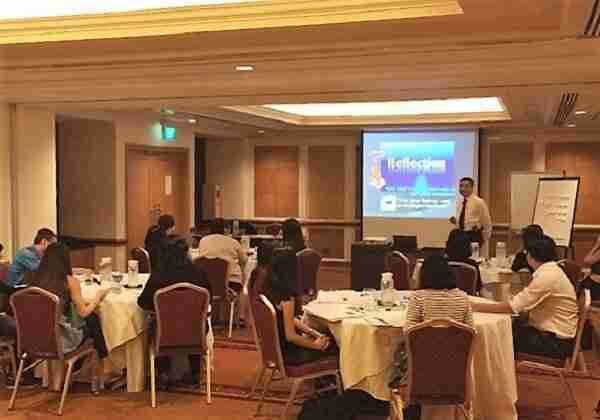 • Skills Future Credit for Self-Sponsored Singaporeans aged 25 and above. • "Samples and templates are provided for referencing which helped to kick start the review or doing up the handbook." • "Noel was great! He allowed plenty of time to ask questions." 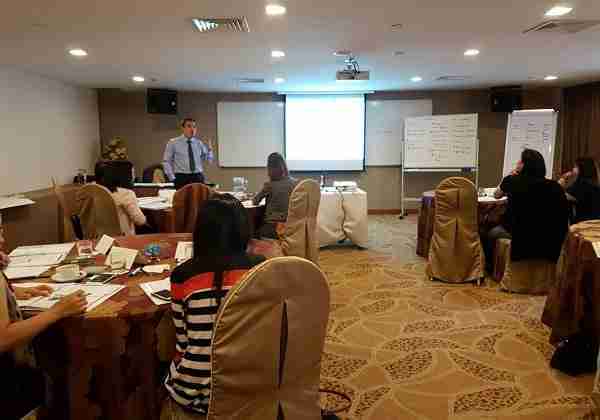 • "The course highlighted the essential key points taught in the session that we could apply when coming up with a handbook." • "Trainer is good and informative." • "Course details were completed within time-frame." • "A great first experience with HRS. Greater trainer and logistics/admin arrangement!" • 6 Drunk Men, Accounting & Corporate Regulatory Authority, Aetos Security Management, AEW Global Advisors, Akzo Nobel Functional Chemicals, AL Technologies, Allegro Development, Alliance One International Singapore, Alteon Training Singapore, Altus Shipping & Logistics, American Bureau of Shipping, American Power Conversion, Ananda Bhavan Restaurant, ANDO Singapore, Aramex International Logistics Pte Ltd, Ariba International Singapore, Asian Women's Welfare Association, AXA Assistance Singapore. • Basler & Hofmann Singapore, Beautehub International, Behringer Ingelheim Singapore, Beiersdorf Singapore, Beyonics International, BoxSentry, BSH Home Appliances, Building and Construction Authority. • Central Provident Fund Board, Clipper Group (Singapore), Capital International, CEVA Asia Pacific Holdings Company, Challenger Technologies, CIBA Vision Asian Manufacturing & Logistics, CISCO Security, CKM Consultants, Clyde & Co LLP, CMPMedica Asia, Cobham TCS, Cold Storage Singapore (1983) Pte Ltd, Component Technology, Concordia Agritrading, Construction Specialties, Copper Development Centre - Southeast Asia, Council for Estate Agencies, CTI Chemicals Asia Pacific, Cypress Semiconductor, CYS Global Remit. • DHI Water & Environment, DENSO International Asia Pte Ltd, DP Architects, DPEX Worldwide Express, Drug Houses of Australia (Asia), Dyslexia Association of Singapore. • eGENTIC Asia Pacific Pte Ltd, Elster-Instromet, Eltek Valere, Energy Market Authority, Ever Progressing System, Evolis Asia Pte Ltd, Exploit Technologies, Elite Precision. • Fancl Asia, Farnell Components, Francosis Marine Services, Fuji Xerox Singapore, Fitness First Singapore. 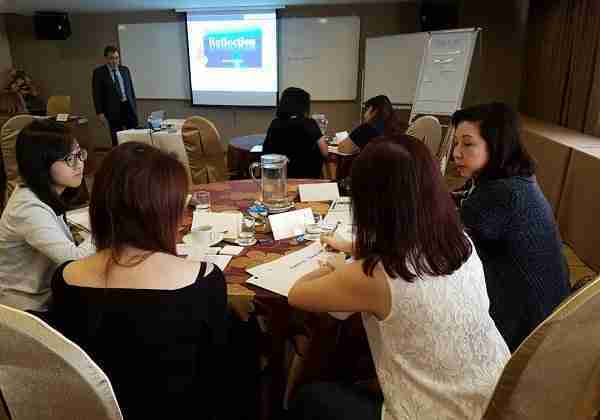 • Gemalto, German European School Singapore, Globe Express Services, Goltens Singapore, Goodrich Global, Grace Orchard School. • Healthway Medical Group, Hill & Associates Risk Consulting. • IAG(Asia) General, ICAP AP, Institute of Technical Education, ISS Group Asia, i.Dental Invisible Braces, International Baccalaureate Organization. • Jasa Investigation & Security Svs, JGC Construction Int'l, JMS, Jones Day, Jumbo Serangoon Restaurant, Jurong Shipyard. • KB Associates, Kent Ridge Education Hub, Keppel Communications, Keppel Shipyard, Kim Seng Huat Hardware, King's Shoe Manufacturing, Kitagawa Electronics, Knight Frank, K.U.S Holdings (S), K.U.S Pre-cast (S), K Line (Singapore). • Laguna National Golf & Country Club, Lim Kim Hai Electric, Lionbridge Singapore, Low Keng Huat (Singapore), LPM Al-Falah, LPM Al-Istighfar, Lumina Looque International, Lutheran Community Care Services. • Marymount Centre, Matco Asia, MavenTree Technology, Mayer Brown JSM (Singapore), Megastone Holdings, Messier Services Asia, Ministry of Defence, Ministry of Health, Motan-Colortronic, M-Precision Center, Multivac Murray International Metals, Menu, Molnlycke Health Care Asia-Pacific. • Nam Leong Co, Nanyang Technological University, National Service Resort & Country Club, Nikkei, Norgas, NTN Bearing-Singapore (Pte) Ltd, NTUC Fairprice, NTUC Healthcare. • OASE Asia Pacific, Oerlikon Textile Components Singapore, Oil States Industries, Oiltanking Asia Pacific. • P - Serv, P.T. Bank Negara Indonesia (Persero) Tbk Singapore, PaC Components, Palsgaard, Parliament of Singapore, Petrojaya Marine, Pfizer Asia Pacific, Prince's Landscape & Construction, Prisco (Singapore), Proceanic Engineering Services, Public Service Division, Public Utilities Board. • R M Martin, Raffles Junior College, Rofin-Baasel Singapore, Republic Polytechnic. • Schottel Far East SearchWorks, Securities Commission Malaysia, Seng Heng Engineering, SEZ Asia Pacific, Singapore Component, Singapore Indoor Stadium, Singapore Information Services, Singapore International Arbitration Centre, Singapore LNG Corporation, Singapore Oxygen Air Liquide, Singapore Prison Service, Singapore Yacht Club, SK Energy International Skymech Automation & Engineering, SME One, Sodexo Singapore, Sourcegate Technologies, Spirax Sarco, SSG Hotels, St. Francis Methodist School, Stamford Law Corporation, Standard Chartered Bank, STARASIA Group, Statoil Asia Pacific, Sto SEA, Super Galvanising, Swiss School Association, Shanghai Chong Kee Furniture & Construction. • Technip Singapore, Thermal Tokyo Marine Asia, Topcon South Asia, Toshiba Medical Systems, TPS Corporate Services, Trafigura, Trans Global Logistics, TÜV Rheinland Singapore, TDK Singapore, Trust-Link Logistics. 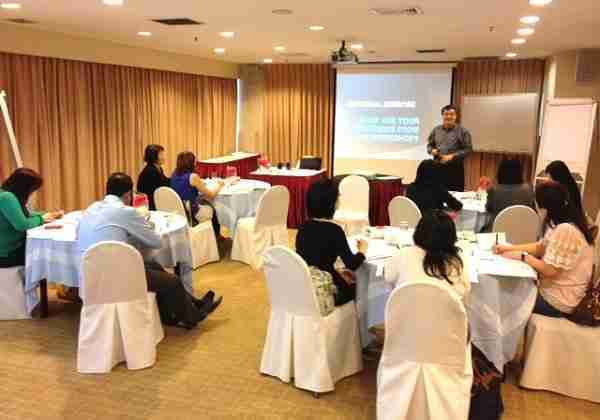 • Vifor Pharma Asia Pacific, Virtual HR, Vital.org, MOF, Vopak Terminals Singapore. • Warees Investments, Watchdata Technologies, Wee Chwee Huat Scaffolding & Construction, Western Bulk, WLD Asset Management, Wop Hup, Wright Starr Global. • Xyratex Technology, Yanmar Asia (Singapore) Corporation.